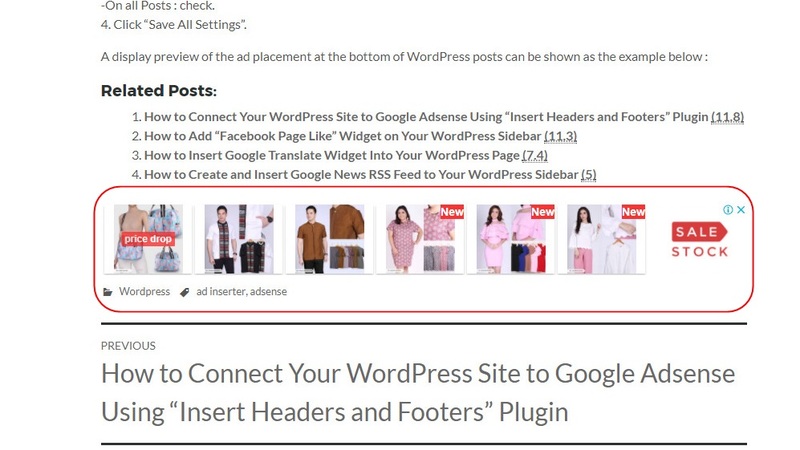 For WordPress user that installed themes equipped with full widget position ready, ranging from sidebar, header, footer, top post, bottom post, and others, certainly, will not have much trouble when inserting or placing Adsense code. In a simple way, we can use default “Text” widget in our WordPress dashboard to insert that code (note : with “Text” widget, we are also able to insert scripts, such as Google translate code snippets). But how about WordPress themes which don’t have complete widget slot position ?. Log in to Google Adsense account. Click “My ads – Ad units – New ad unit”. Choose or select your preferred type of ad to be created : “Text & display ads, In-feed ads, or In-article ads”. Give a name to your ad unit which is easily identifiable. As an example, if you want to choose “Responsive” ad size and will be located at the bottom of every post on “yourname.com” site, you will name it by “Yourname Responsive Bottom Ad”. Choose “Text ad style” as you want both on text and background colour. Click “Save and get code” button. 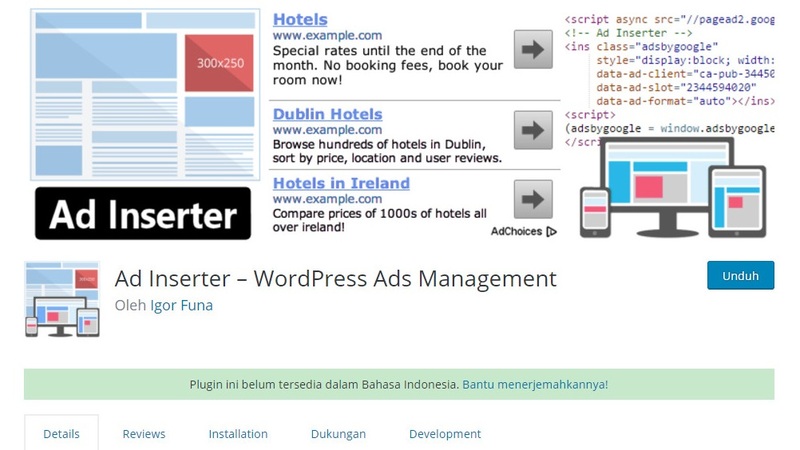 Download, install and activate “Add Inserter” plugin. Choose “Settings – Add Inserter” from your WordPress dashboard menu. Paste the code in the “Block” area. “?m=1” Parameter in Mobile Display May Cause Duplicate Content Issue? Why Your WordPress Site with “https” Prefix is Not Fully Secured?